Click on the link above to launch the simulation in your browser. 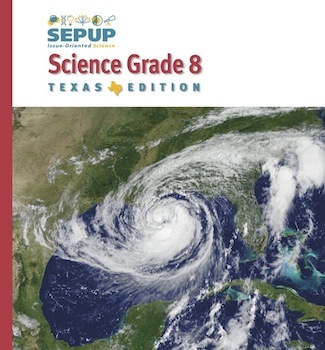 Use the SEPUP Science Grade 8 version of the SEPUP Population Simulation to investigate the effect of biotic factors on populations. Adobe Flash is required to access this simulation. If you are having trouble accessing it, please be sure you have installed the latest version of Flash on your computer. Still having trouble? Email us. Learn about position, velocity and acceleration graphs using this interactive simulation. This website contains music videos and Power Point presentations of Newton’s Three Laws of Motion. There are additional links to information about Newton’s life and everyday examples of the three laws of motion. See how your car would fare in a crash — view crash test videos for recent vehicle types and models. Conducted by the Insurance Institute for Highway Safety (IIHS) the crash tests show several different vehicle types including small cars, SUV’s, and pickup trucks. Find out why is it important to wear seat belts, put infant seats in the back seat, or never hold an infant on your lap in the car. See video clips of crash test dummies in these situations and many others. Have you ever wondered how crash test dummies were constructed or how the vehicle safety rating were determined? Read about these topics and how the Insurance Institute for Highway Safety (IIHS) tests vehicles to determine safety ratings. Latest accident statistics from the government. “Green Chemistry Takes Root” by Elizabeth Weise. USA Today, November 22, 2004. Click on “Periodic Table of the Elements” to download the latest version of the table approved by the International Union of Pure and Applied Chemists (IUPAC). Maintained by Eugene V. Babaev at Moscow State University. This website lists the names of elements in more than twenty languages. This website by the U.S Environmental Protection Agency – Office of Ground Water and Drinking Water provides basic information about copper in drinking water. This video segment chronicles the Alfred Wegener’s development of the theory of continental drift and is from the WGBH Teacher's Domain website. It is recommended that you have the latest version of QuickTime installed to properly view this video. Using evidence from Alfred Wegener’s theory of continental drift, this video on the WGBH Teacher's Domain website details the evidence that supported the theory of plate tectonics. It is recommended that you have the latest version of QuickTime installed to properly view this video. This site lists the official U.S. time and has links to additional sites about time. Simulation not running properly? Make sure you have the latest version of Java installed. This animation from the National Oceanic and Atmospheric Administration of the Moon's rotation around Earth helps you understand how the phase of the Moon relates to extreme tides. This site provides information on the history and astronomical basis of calendars. It includes information on the Gregorian, Julian, Jewish, Islamic, Indian, and Chinese calendars. A diagram that shows most of the major types of stars. This short video excerpt adapted from Nova describes the work of Arno Penzias and Robert Wilson. An explanation of redshift geared for a student audience. Simulate how a spectrum changes based on a galaxy's redshift.